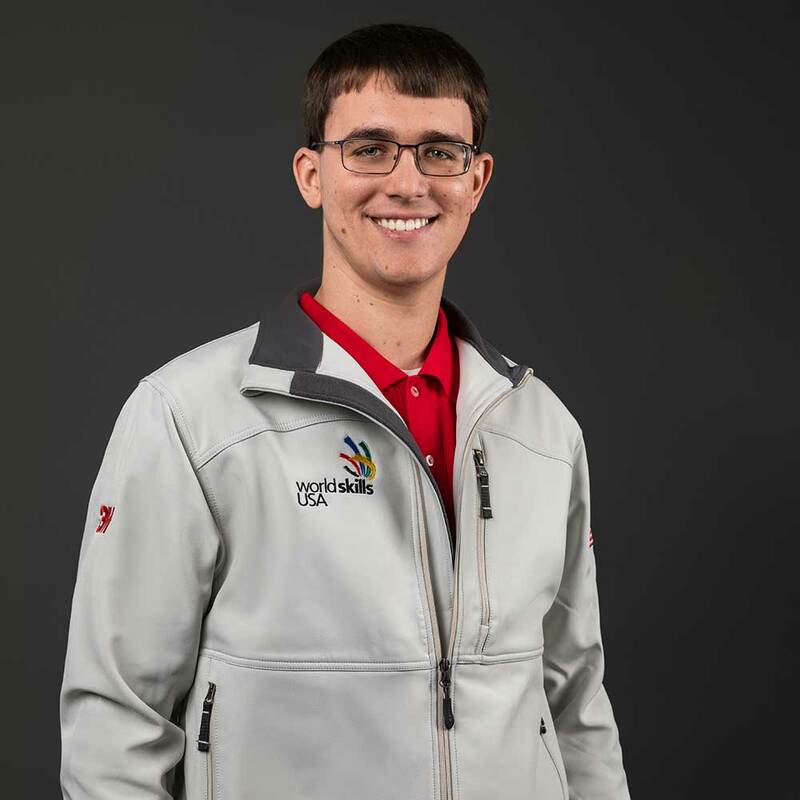 Five years ago, Matthew Vreman would never have dreamed of competing on the WorldSkills USA team for web design—he knew nothing about it! Having always had an interest in technology, he wanted to take a class at his local technical college. The web design program, in particular, caught his attention. With an instructor he describes as “absolutely amazing,” he fell in love with web design. Matthew particularly enjoys web design’s mix of both creativity and logic. As fields of technology are constantly changing, he is always studying new techniques. After competing in WorldSkills, Matthew plans on staying in web design while continuing to expand his skillset among different subsections of the field.